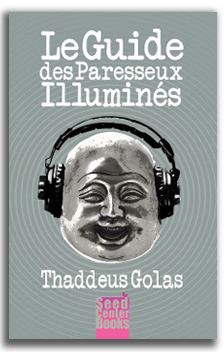 Author Thaddeus Golas reads his own 1971 Metaphysical Classic. new chapters (Reminders, Post-Script to Reminders, and The Way Out,) written by Thaddeus Golas in the early '90s as revisions of some of his concepts. These chapters pave the way for the ideas explored in his new opus: Love and Pain. The recording of Thaddeus Golas' reading was made in June of 1986, in Sarasota Florida, on an analog tape deck, and an earlier form of this reading was available briefly on cassette in the late '80s. The recording has been re-mastered digitally. Some "analog tape" limitations persist, but this is by far the best audio version, to date, of The Lazy Man’s Guide to Enlightenment. The text itself is not abridged, per se, but rather "modified" somewhat by Thaddeus Golas himself; it is very close to the written Guide, and contains a few differences as well. Several paragraphs were corrected or replaced, certain words were dropped, including the few direct references to LSD which permeated the original text. Some clarifications were added. 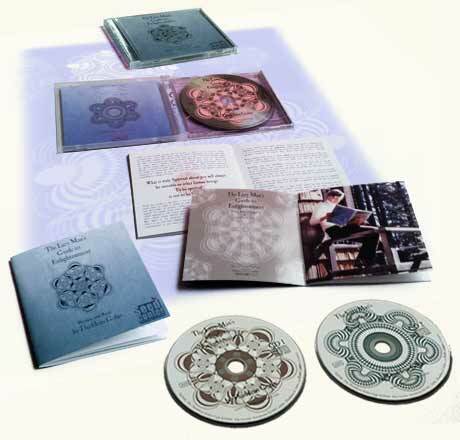 New music was composed in 2007 for this CD by his friends Blair Teagarden and Lumin Egress, in San Francisco, and by British guitarist Roy Sudan. Each of the 2 CDs runs approximately 45 minutes (roughly 90 minutes total).